So when your electronics fail choose Brocky’s Electronics. 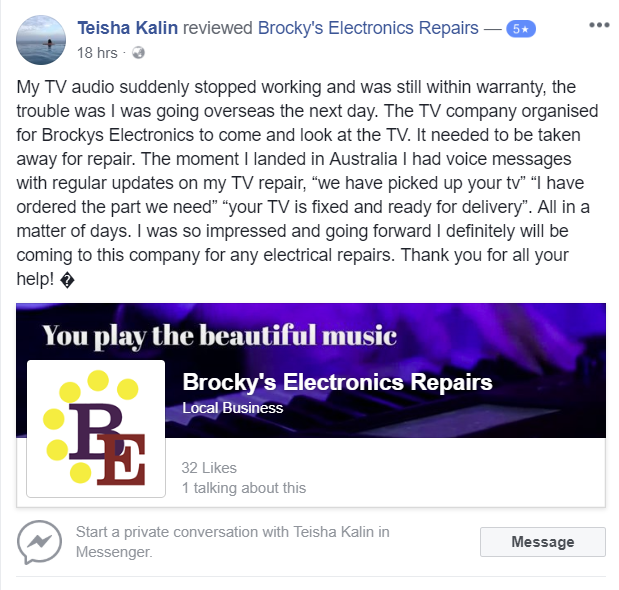 Ask the warranty manufacturer if you can take it to Brocky’s because they offer the fastest turn around times, the lowest return-rate, free pickup from place of purchase between Strathpine 4500 to Gympie 4570 and strive for the best customer service in the industry! The decision is easy, choose Brocky’s Electronics. Call 1800 544 644 today. Samsung, LG, Sony, Panasonic, Bose, Marshall, TCL & Peavey!